December 2018: Our graduates for the year! December 2018: Massive ARC grant success. Milos, Igor, Carlo and Fan are awarded an ARC DP, and Igor’s LIEF lead by Monash will bring us a new AFM/Confocal. November 2018: Our work on GeV diamond membranes is finally published in ACS Photonics. And a related work with Weibo Gao on direct writing of GeV is now in New Journal of Physics. November 2018:We welcome Andreij Gadelha from UFMG to spend a month with us to work on quantum properties of new materials. November 2018: Congratulations to Toan and Sejeong for being awarded the prestigious Chancellors Postdoctoral Fellowships! Good luck! October 2018: Sejeong Kim has been awarded the Best Young Scientist by the Korea Federation of Women’s Science & Technology Association (KOFWST). Congrats Sejeong!!! October 2018: We welcome Prof Oliver Benson and Prof Jin Liu to visit our group. September 2018: Observation of Fourier transform limited lines in hexagonal boron nitride is now published in PRB. Rapid. This is a collaboration with F Jelezko and A Kubanek. September 2018: Welcome to Connor a new PhD student! August 2018: Congrats Mehran on becoming a Dr! August 2018: our work on nanowire growth is published in nanoscale. Well done John! July 2018: Our collaborative efforts with Prof Alu, Prof Basov and others on studying defects in hBN using phonon polaritons is now in Nano Letters. July 2018: Our work on resonant excitation of single emitters in GaN is published in Optica! Collaboration with group of Rachel Oliver at Cambridge. June 2018: Our work on making quantum emitters using high energy electron irradiation is now in ACS AMI. Well done Hanh and Minh ! June 2018: The collaborative work with RMIT on plasma treatment of Black Phosphorus is now in Applied Materials Today. May 2018: food time! 14 group members, 10 countries! April 2018: New team member Anh Ly joins the team! welcome Anh and good luck with your PhD. April 2018: Our work on single emitters in GaN in collaboration with MIT is published in PRB. April 2018: Congrats Toan and Amanuel on becoming Drs and defending their thesis! April 2018: Our work on how to make bright single emitters in hBN is now accepted to nanoscale! April 2018: Our collaborative work with Prof Weibo Gao on developing new infra-red single photon sources in GaN is published in Science Advances. Congrats Sejeong and Amanuel! Some news coverage here. March 2018: Our work on Super resolution imaging with single emitters in hBN is published in nature communications! February 2018: New cover in Nanoscale on our hBN – plasmonics work. February 2018: Our team attends ICONN 2018. February 2018: Diamond nanoelectronics is now possible! our work on electrically active diamond membranes is published in nanoscale. Well Done Kerem! February 2018: Our work on surface patterning of diamond is published in ACS Nano. Well done James! January 2018: Our work on design of optical resonators in hBN is publisjed in BEILSTEIN Journal of Nanotechnology! Well done Sejeong! Jan uary 2018: Our work on Nanoassembly of quantum emitters in hexagonal boron nitride and gold nanospheres is published in Nanoscale! nice work Minh and Sejeong! January 2018: Huge welcome to Dr Alex Solntsev who is now a DECRA fellow and a Senior Lecturer at UTS. Alex is going to lead the non linear nanophotonics topics. December 2017: Merry Xmass and Happy New Year! we will be back in 2018 for more nanophotonics and cool science news! December 2017: Our work on Xe color centers in diamond is finally online as part of a special issue on single photon emitters. December 2017: Congrats to Dr Zaiquan Xu on receiving the very prestigious UTS Chancellors Postdoctoral Fellowship. November 2017: what a month! Our paper on resonant excitation of hBN is published in ACS Photonics. Our first collaborative work with the group of Qin Li from Griffith Uni on Carbon Dots is published in J Phys Chem Lett. And – our recent work on diamond films is now online in ACS AMI! November 2017: Massive success with ARC Grants! Igor and Milos secure an ARC DP, Carlo Bradac, Alex Solntsev and JiaJia get a DECRA each and we top it up with two LIEF bids for advanced CL system and microfluidic nanofab. October 2017: Dayong Jin wins the Malcolm McIntosh Prize for Physical Scientist of the Year 2017. Congrats Jin! first one at UTS!!! October 2017: First appearance in the prestigious magazine Science! Just a perspective for now, but more to come! September 2017: Our first modelling paper of hBN defects appears in nanoscale! July 2017: Our recent work on photoinduced blinking in gallium nitride is published in Phys Rev B (R). Well done Amanuel and congrats Carlo on your first paper with the group. June 2017: Congratulations to our own Dr Sejeong Kim for receving a highly prestigious ‘Best Emerging Scientist Award in Photonics and Quantum Electronics’ by ‘The Korean Physical Society’. Well Done Sejeong! June 2017: Things are a bit slow at the moment. You can check our recent preprint on Xe related color centers (https://arxiv.org/abs/1704.01636) and we will be back shortly with more exciting results! May 2017: No image as yet, but our work on protecting black phosphorous just appeared in Advanced Materials! thanks RMIT team for the nice collaboration. April 2017: We are on the cover of ACS Photonics!!! the work on High Temperature Single Photon Sources in hBN. April 2017: Our collaborative work with Prof Teri Odom on coupling single emitters in hBN to plasmonic arrays is published in nanoletters! Congrats everyone – great journey! April 2017: We are growing! we welcome three (!) new PhD students: Aleksandra Trycz (Italy), Johannes Froch (Austria) and Ngoc My Hanh (Vietnam). Good luck guys! April 2017: April is busy. Dr Zaiquan Xu receiving an excellence award at Monash University, together with distinguishd Professor Min Gu. April 2017: we are on the cover of Advanced Materials! The work of Amanuel on ultra bright emitters in gallium nitride. Congrats! March 2017: We are super excited to report on the hottest Single Photon Emitter yet! The work by Mehran and the guys is published in ACS Photonics. There is a cover coming up as well…. March 2017: Igor is visiting Kyoto University – Prof Norikazu Mizuochi. One day Photonis symposium hosted by Prof Takeuchi and this is how lunch is done. February 2017: We welcome our new team membern – Dr Sejeong Kim who will finally make us high Q photonic cavities! Welcome Sejeong and good luck! February 2017: We are very excited to welcome a new team member! Dr Carlo Bradac is joining us a Chancellor Postdoctoral Fellow! Welcome! January 2017: Igor receives the prestigious 2017 IUPAP Young Scientist Prize in Laser Physics and Photonics (Applied Aspects) for “outstanding contributions to research on quantum emitters in wide band-gap semiconductors”. Congratulations! January 2017: We welcome our first international guest for the year – Bernd Sontheimer from Humboldt Univ of Berlin! Enjoy your stay, mate! It was a great year, all the best wishes for 2017! Have a Merry Xmass and a Happy New Year! November 2016: Our group gets 2 (out of the 17) Academy Honorific medals! Igor received the Pawsey medal and Jin received the John Booker medal. fantastic news! October 2016: great news to read how our students have real impact on the world! well done Russell for developing the communication program aimed at assisting deaf people in Australia. October 2016: Congratulations to Charlene Lobo who was promoted to A/Prof and our esteemed team leader Milos Toth who is now officially a professor! Well done both! October 2016: we welcome a long friend and collaborator – Prof Francesca Iacopi who joined UTS! Welcome and look forward working with you! September 2016: We are on the cover of nature Photonics with our review on single photon emitters!!! Drop by for a hard copy! September 2016: Kerem Bray wins The International Conference on Diamond and Carbon Materials (ICDCM) “Young Scholar Award”! nice Kerem! September 2016: Our work on etching of hexagonal boron nitride is now published in nanoscale! well done Chris and the team! boron nitride rules! August 2016: Our work on stable, narrow-band silicon vacancy (SiV) emitters in nanodiamonds in collaboration with Weibo Gao (NTU) is published in Phys. Rev. Appl. We are still very much active in the diamond business! more to come! August 2016: Congratulations to Olga on her promotion!!! Well done and well deserved! July 2016: Our newest work on single emitters in hexagonal boron nitride in collaboration with the group of Prof Dirk Englund (again :)) at MIT is published in ACS Nano!! What an excellent year so far! July 2016: Our work on single emitters in SiC in collaboration with the group of Prof Dirk Englund at MIT is published in Optica! July 2016: we welcome our 3rd IBMD postdoc – Dr Zaiquan Xu, who will be working on 2D materials! July 2016: Olga meets one of the greatest Chemists of all times – Prof George Whitesides. nice shot! June 2016: Igor is spending three weeks with Prof Mark Newton at Warwick University, UK, as part of his IAS visiting fellowship. There will be a lot of EPR going on! June 2016: Congratulations to Sumin on submitting his PhD thesis on ZnO nanophotonics! Good luck in your future endeavors! June 2016: Igor joins the Editorial Board of Advanced Optical Materials. A great journal to publish your photonics results. June 2016: Our graduate Aiden Martin and Milos Toth are one step closer to work for NASA! So what are galaxies made of? May 2016: Milos and Igor are attending the NDNC 2016 conference in beautiful Xi’an, China. Next year meeting is in Cairns, Australia! visit the www.ndnc2017.org! May 2016: Congratulations to Dayong Jin for leading the first successful research hub out of UTS!!! The ARC Research Hub for Integrated Device for End-user Analysis at Low-levels (IDEAL) received $3.7! It is a collaboration between leading industrial partners in the bio-medical space, UniSA and UTS! May 2016: We welcome our first IBMD Postdocs – Dr Hien Duong and Dr Gediminas Seniutinas; Gediminas will work on photonic sensing and Hien will focus on bio-imaging. Good luck guys! April 2016: Amanuel and Toan awarded the Vice Chancellor travel award to attend CLEO 2016 in San Jose. Well done guys! April 2016: Igor was awarded the Humboldt Research Fellowship to visit the groups of Prof Benson and Prof Jelezko! He also received the JSPS invitation fellowship to visit the laboratory of Prof Mizuochi (Kyoto). Congrats! March 2016: Igor is attending the APS meeting in Baltimore and the Spring MRS meeting in Phoenix. February 2016: Dr Andreas Schell from Kyoto was visiting us for a week! awesome times! Toan won the best poster award! Congrats Toan! January 2016: First work from John on growth of cobalt nanowires is published in nanoscale! Well done John! January 2016: Welcome back everyone! First even of the year is the Global Young Scientist Summit that Igor attended. Some recognizable VIPs were spotted. Good catchup with some Aussie mate as well! It was a great year, all the best wishes for 2016! Have a Merry Xmass and a Happy New Year! December 2015: Dynamic Pattern formation in diamond is published in PRL. Congrats Aiden and Alan! November 2015: Prof Jeffrey Reimers wins the 2016 David Craig Medal for this work on quantum modelling of biological and energy systems. This is one of the most prestigious medals from the Australian Academy of Science! Congrats! November 2015: Igor Aharonovich wins the 2016 IEEE Young Investigator Award for contribution to the development of single photon emitters in wide bandgap materials. He is going to present a talk at CLEO 2016. Congrats Igor! ARC Highlight. t topic indeed. The full story is here. October 2015: ARC announcements: Dr Jinghua Fang has received a highly competitive ARC DECRA! Well done Jinghua! This is the first DECRA fellowship within our group! October 2015: Congratulations to Toan, Kerem, Mike, Milos and Igor for their debut in Nature Nanotechnology! Toan’s work on single emitters in hexagonal boron nitride monolayers appeared today in Nature Nanotechnology! News and Views were picked up by Phys.org, Hacked and Laserfocusworld . Great Job Toan! October 2015: Congratulations to Jeff Reimers, Mike Ford and their colleagues for the PNAS paper, “A priori calculations of the free energy of formation from solution of polymorphic self-assembled monolayers“. October 2015: Dr Olga Shimoni brings the largest fellowship so far in our group – $600,000 towards employing nanodiamonds to cure dementia. Dr Shimoni is now a NHMRC- ARC Dementia Research Development Fellow. CONGRATS OLGA!!! Details are here. October 2015: Igor wins the 2015 Young Tall Poppy Science Award! Igor thanks AIPS and is looking forward for fascinating outreach activities in the year to come! October 2015: Igor is awarded the UTS VC award for research excellence (ECR category)! Congratulations also to the other winners and finalists from the faculty of Science (Liz Harry, Professor Claude Roux, Bronwyn O’Brien, Dominic Hare)! October 2015: The group is growing! Dr Jinghua Fang is joining us from CSIRO and Daniel Totonjian joins us a hard working undergraduate! Good luck guys! September 2015: More achievements to our team members: Sumin Choi received the best presentation award at the 2015 E-MRS Fall meeting for this work on ZnO emitters! congrats Sumin! July 2015: Congratulations to Jin Dayong and the Super Dots team for beeing selected as a finalist in the 2015 Eureka University of New South Wales Eureka Prize for Excellence in Interdisciplinary Scientific Research. Great start at UTS, Jin. June 2015: Our collaborative work with CSIRO on plasmonic metamaterials appears in Advanced Optical Materials and gets the cover. June 2015: Toan’s work on facile self assembly of nanodiamonds with plasmonic waveguides is published in Advanced Materials. Congratulations Toan! 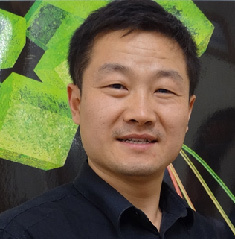 June 2015: We are delighted to welcome Prof Jin Dayong(ARC Future Fellow) to UTS. Jin will be working closely with our group and establish a new Institute for Biomedical Materials & Devices (IBMD). Jin is one of the leading scholars in the Australian Science Community and has strong track record in Bio-Photonics. He is already making news, and his profile can be found here. Good Luck Jin!!! May 2015: We finished installing the Diamond Microwave CVD machine. we can grow diamonds now. Thanks Russell and Geoff for the hard work. April 2015: Amanuel’s work on electrical excitation of silicon vacancies centers in diamond is published in Appl. Phys. Lett. well done Amanuel! April 2015: UTS opens door to a new clean room. Check our facilities page. April 2015: Welcome Carla – our new undergraduate group member and Stefan – Honours student. Good luck to both of you and have a lot of fun. March 2015: Olga Shimoni and colleagues from Melbourne University published their work on “A graphene field-effect transistor as a molecule-specific probe of DNA nucleobases” in Nature Communications. February 2015: Two of the Olga’s papers on the protein-nanodiamond interaction and on the nanoporous membrane for DNA detection and purification have been published in Nanoscale. Check the publication list. February 2015: We are delighted to welcome Prof Yeshayahu (Shay) Lifshitz as a Distinguished Visiting Scholar at UTS. Shay is a world leader in Carbon nanomaterials, and its a pleasure hosting him here. Enjoy your stay in Sydney. February 2015: Our work on understanding defects in ZnO is published in Adv. Opt. Mater. Well done Sumin! Great job. Merry Xmas and Happy New 2015 to everyone!! December 2014: Congratulations to Kerem, Russell and Rudy for their Honours completion! Also, a few last papers are now online from our group! check the publication list! November 2014: ARC Announcements! Congratulations to Prof Matthew Phillips, Prof Mike Ford, Dr Cuong Ton-That and Prof Jeff Reimers for their successful Discovery Projects! Excellent outcomes! Finally, we have a group photo! hooray! October 2014: Olga Shimoni receives the Ramaciotti establishment grant that supports emerging Early Career Researchers in the Biomedical Research! Well done Olga!!!! September 2014: Igor is invited to attend the First Commonwealth Science Conference to be held in Bangalore, India. Should be good! September 2014: Welcome Toan, Asghar and Mehran – our new PhD students. good luck! August 2014: A new review on Diamond Nanophotonics is published in Advanced Optical Materials by Igor and Elke Neu. August 2014: Toby’s work, “Localized chemical switching of the charge state of nitrogen-vacancy” is highlighted on the cover of Applied Physics Letters. This is our second cover for the year! well done guys! August 2014: Cameron is the runner up in the 3 minute thesis competition at the faculty of Science! well done Cam! July 2014: We are going to Germany! one invited (Milos) and two contributed talks (Aiden and Toby) at the annual Focused Electron Beam Induced Processing conference in Germany. Enjoy guys! July 2014: Sumin’s work on single photon emission from ZnO nanoparticles is featured on the cover of Appl. Phys. Lett. May 2014: “Diamond set to sparkle”. Our work on Subtractive 3D printing of Diamond is published in Scientific Reports. The work was immediately picked up by MIT Technology Review – one of the most important online technology blogs and Chemistry World – One of the major Chemistry magazines. Well done all!!! April 2014: PhD scholarship and a top-up available for a project on modeling of molecules and chemical reactions at surfaces. Prior experience in DFT or other quantum chemistry modeling methods is preferred. Interested candidates should contact Milos Toth or Mike Ford. April 2014: New Capabilities! A high resolution TEM, a zetasizer for particle analysis and a Reactive Ion Etching tool are added to our facilities portfolio. We thank the UNSW node of the ANFF Network for the donation of the RIE tool. April 2014: We are growing! Three more PhD students join our group: Amanuel, Anton and Hao are going to expand our work on nanophotonic devices. Good luck guys! March 2014: Igor Aharonovich and Charlene Lobo are organizing the 2014 Australian Nanotechnology Network Early Career Researchers workshop. The workshop will be held at UTS in July! more details are here. Feb 2014: We welcome our first Chancellor Postdoctoral Fellow – Dr Olga Shimoni! Olga is joining us from the University of Melbourne, and is going to focus on bio-sensing and bio-materials at UTS! Welcome Olga! Igor and Milos express their opinion on the progress of quantum information in silicon carbide. Read it in Nature Physics. Feb 2014: Members of our group are presenting at major conferences. Milos and Matt are attending Photonics West. Igor, Toby, Aiden, Cameron, Kit and Sumin are presenting at ICONN. We welcome a new group of undergraduates joining us to work on summer research projects: Rodolfo Previdi, Rachael Oxley, Johannes Mende, Karl Zuvela, Stefan Lundgaard, Russell Sandstrom & Kerem Bray. Dec 2013: Congratulations to Dr Jedsada Manyam from the National Nanotechnology Center (NanoTech) in Thailand on receiving an Endeavour Postdoctoral Fellowship Award from the Australian Department of Industry. Dr Manyam will work with Prof Matthew Phillips on developing develop a new platform sensing technology for biological/chemical targets based on a nanostructured-ZnO integrated ion-selective field effect transistor (ISFET). Another PRL to our team! In collaboration with Bristol University, a wave particle duality was demonstrated on a single chip! The work entitled “On-Chip Manipulation of Single Photons from a Diamond Defect” marks a pivotal turn for integrated quantum photonic circuits on a single diamond chip! Nov 2013: Congratulations to Prof Matthew Phillips on his successful grant proposal with Prof Axel Hoffmann at Technical University of Berlin n “Advanced Optical Characterisation of Nanostructures in White Light LEDs”. The funding scheme is a joint initiative of the Australian Technology Network of Universities (ATN) and the German Academic Exchange Service (DAAD) to support staff and student exchange between TUB and UTS in 2014 and 2015. Nov 2013: Congratulations to Dr Igor Aharanovich on his Geoff Opat Early Career Researcher Prize from the Australian Optical Society. As part of this award he is invited to deliver an extended presentation at the annual AOS conference. Nov 2013: ARC grants announced! Excellent outcomes to MTEE members! Congratulations to Prof Milos Toth and Dr Charlene Lobo for their Discovery Grant on Nanocatalysis. Congratulations to Prof Mike Ford for the successful LIEF bid to renew the Intersect’s share in National Computational Infrastructure’s facility. Congratulations also to a team lead by Prof Geoffrey Smith on their Discovery Grant on hybrid, optically selective coatings. ZnO resonators exhibit whispering gallery modes (WGMs)! The recent paper by Sumin Choi et al demonstrates for the first time that hexagonal ZnO resonators can support WGMs in the green spectra range. the work just appeared in Appl. Phys. Lett. New Bio-marker based on the silicon vacancy in nanodiamonds has been employed to image neurocells. The work has recently appeared in Optics Letters. We welcome new PhD student – Shripad Kulkarni who is going to work on quantum emitters and plasmonics! Good Luck with your PhD, Shripad. Low Temperature (4K) optical measurements are now possible in our Nanophotonics lab! Pure platinum nanostructures grown by electron beam induced deposition published in ACS Applied Materials & Interfaces by Chris Elbadawi et al. The paper reports a new method for purification of Pt deposits grown by Pt(PF3)4-mediated electron beam induced deposition. Spontaneous growth of gallium-filled microcapillaries on ion-bombarded GaN by Botman, Bahm, Randolph, Straw & Toth is published in Physical Review Letters. The paper reports an emergent phenomenon that gives rise to a new form of self-assembly, and explains the underlying physics. Movies of the microstructure self-assembly process can be seen here. This project is a collaboration between researchers at UTS and FEI Company. September 2013: Igor Aharonovich wins the Ian Potter Foundation Travel Award. Well done Igor! Optically Detected Magnetic Measurements are now possible in our Nanophotonics lab! Capsule-free fluid delivery and beam-induced electrodeposition in a scanning electron microscope by Randolph, Botman & Toth is published in RSC Advances. Dynamic Surface Site Activation: A Rate Limiting Process in Electron Beam Induced Etching is published in ACS Applied Materials & Interfaces by Aiden Martin et al. Chris won the Best Oral Presentation Award during the annual Australian Nanotechnology Network Early Career Workshop. Well done Chris! July 2013: We welcome a new Masters Student – Cameron Zachreson who is going to work on bio-related projects. Good luck Cam! We also welcome James Bishop who returned from his round the world trip to begin his PhD with us. Good luck James! Low threshold, room-temperature microdisk lasers in the blue spectral range by Aharonovich et al is published in Appl. Phys. Lett. Congrats! Bottom-up engineering of diamond micro and nano-structures is published in Laser and Photonics Reviews by Aharonovich et al. Congrats! This entry was posted in news and tagged ARC, ARC NHMRC fellowship, Australia, discovery, future, grant, nanofabrication, nanoscience, nanotech sydney, nanotechnology, PhD, students, Sydney, sydneynano, uts, utsnano. Bookmark the permalink.